1980’s saw a real growth in technology both in the scientific field and in the consumer industry. 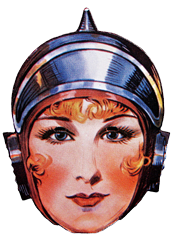 Women had a large impact in both and here are some things related to women and technology in the decade. Photo from the Digital Library of Purdue University. Photo source. 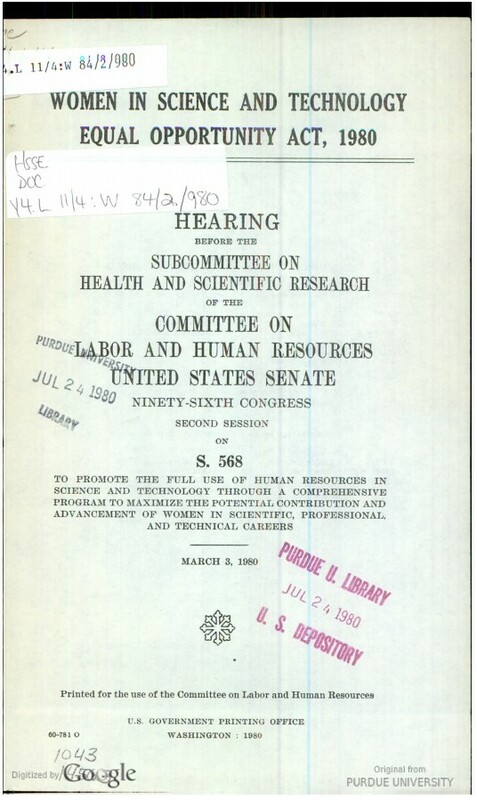 This bill was created with the intent to “encourage the full participation of women in scientific, professional and technical fields.” It was meant to assure equal opportunity to study, train and work in technology fields for women. It was introduced in 1979 and passed the Senate, the House and was signed by the President in 1980. For additional reading about the Women in Science and Technology Equal Opportunity Act, see this link. Photo from Yahoo Tech Blogs. Photo source. 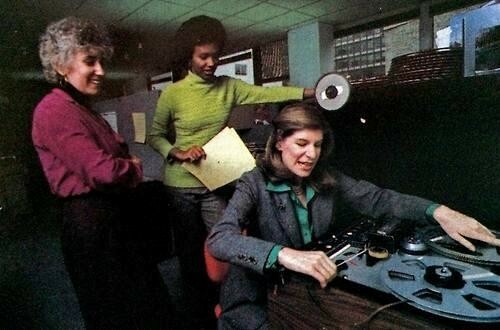 This photo shows three women in an NPR radio studio cutting tape for the air. A new blog has popped up that is devoted to archiving NPR’s last thirty years. There are a lot of interesting photos and stories about the general past of the seminal radio station but this photo shows how women were involved with the content and also the technology side of the station. For additional reading about the NPR Archives, see this link. Photo from Cincinnati State Archives. Photo source. Cincinnati State hosted a workshop, “Expanding Non-Traditional Career Options for Women.” Outside of being an incredibly descriptive titled, the workshop encouraged any women to join “non-traditional” fields like computing or, at this time, any STEM field. 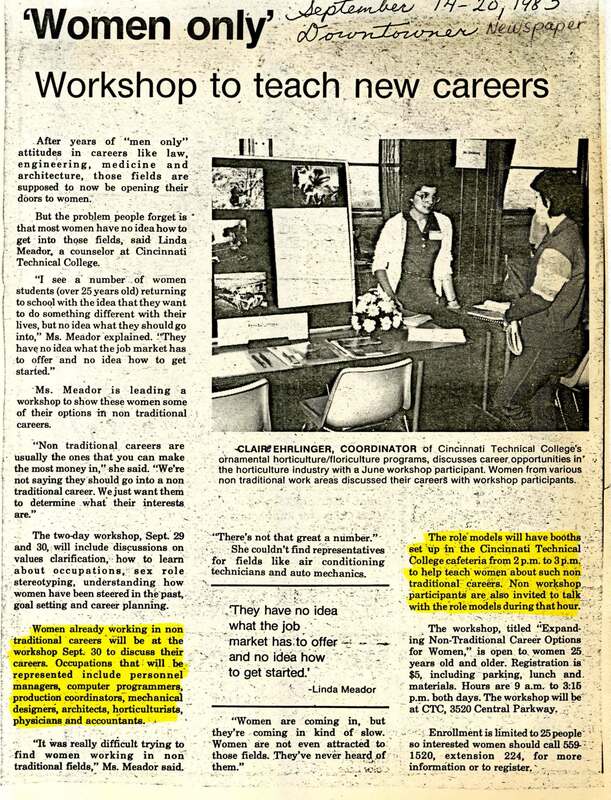 For additional reading about Cincinnati State’s past efforts to bring more women in computing, see the link. Photo from Vonguard’s Flickr Album. Photo source. For additional reading about Francis Allen, see link. Photo from the Minnesota News Entity, MinnPost. Photo source. 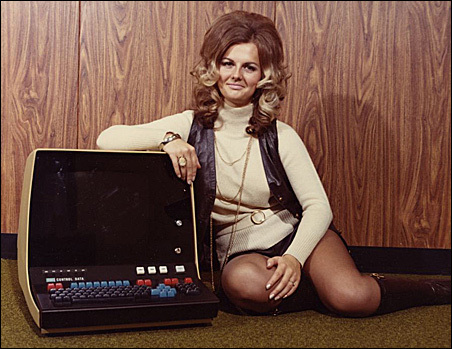 This picture was a part of a marketing campaign created by the Babbage Institute, an archives and research center for computing, designed to normalize the image and idea of women as computer users. This was incredibly important in the past to encourage women to do fields like computer science. This campaign is still incredibly important today. For additional reading about the decreasing numbers of women in the computing field, see the link. The 1980’s saw the rise of the personal computer. 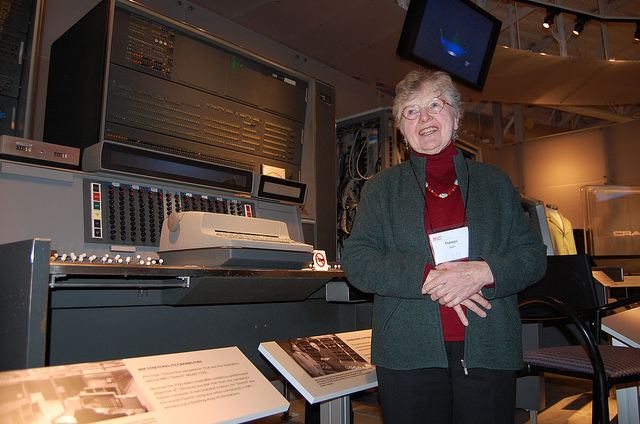 Here are some prominent women in the field who helped to make personal computers what they are today. Susan Kare created many of the now iconic user interface elements for the original Apple Mac OS. She also went on to do the same for Microsoft Windows 3.0 and eventually serve as creative director for NeXT computing. She created many UI elements and notions that still exist today across all platforms. For more information on Susan Kare, visit her website. A pioneer in the field of optimizing compilers, Allen became the first female IBM Fellow in 1989. She also went on to become the first woman to win the Turing Award in 2006. 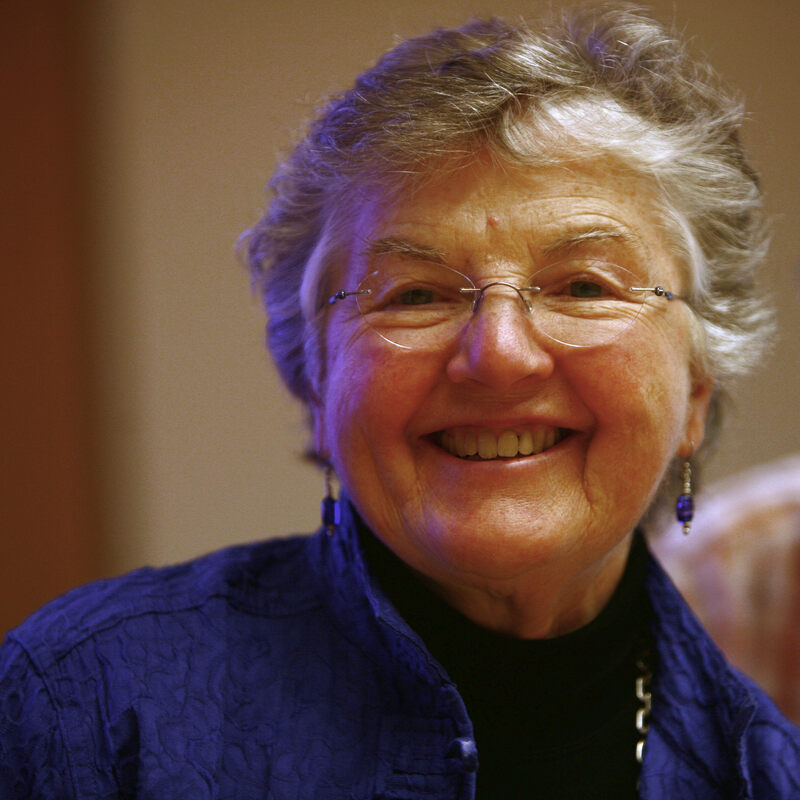 For additional reading about Frances Allen, see this bio on the ACM Turing Award site. Williams helped to pioneer graphical adventure games for personal computers, namely with the Kings Quest series. She co-founded On-Line Systems which eventually became the game development studio Sierra. For additional reading on Roberta Williams, see their original Sierra website. Shirley founded a UK software company in order to offer work opportunities to women with dependents; only 3 out of 300 programmers were male. She adopted the name “Steve” to help her in the predominantly male-centric business world. For additional information about Dame Stephanie Shirley, see her website. Swanson co-developed the hugely successful Carmen Sandiego educational video game series for the Macintosh in the 1980’s. She went on to found Girl Tech, an company that aimed to develop products and services that encouraged younger girls to get involved with technology. For additional reading about Janese Swanson, see this Smithsonian article.